When it comes to choosing a fuel for a gas fired furnace, you have two options before you- propane and natural gas. Many homeowners take them to be the same. But they are not. The chemical composition of propane and natural gas differs. Natural gas is made up of several gases including propane, butane, ethane, and mostly consists of methane. As evident from the composition of natural gas, propane is a part of natural gas in its raw state. Propane is hydrocarbon that is separated from other gases at processing facility. Now how do you choose between propane and natural gas? Well, here is a comparative study between propane and natural gas. Natural gas is cheaper than propane. This is because propane is processed out of natural gas. In the US, percentage of homes using propane is comparatively lower to that of users of natural gas. According to the Energy Information Administration (EIA), the average cost of heating a home with propane is $2,119 compared to $936 with natural gas. Moreover, propane prices shoot up unexpectedly. This is not the case with natural gas. Gas leakage in houses is a common occurrence. However it is one of the major causes of fire hazards and deaths. Natural gas is safer than propane when it comes to leakage. It being lighter dissipates in the outside environment. Propane is actually heavier than air; it does not tend to vent safely when it leaks. When you select a fuel for your furnace, the efficiency is one of the prime parameter for choosing it. The more efficient it is, the less you spend on energy cost. Natural gas has nearly, 1,030 BTU of energy per cubic foot whereas propane contains 2,490 BTU of energy per cubic foot. In other words if a particular amount of natural gas produces certain amount of energy, then the same amount of propane will produce almost two times the energy produced by natural gas. From logistic point of view propane wins over natural gas. Propane converts into liquid at −46 °F. 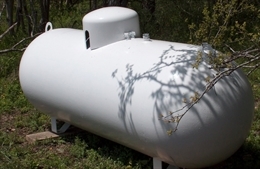 In order to transport propane it is compressed and filled in tanks. But natural gas cannot be compressed so they cannot be transported through vehicles. They can only be sent to homes through pipelines. Both propane and natural gas are considered clean burning fuels. Natural gas is considered a potential greenhouse gas. However propane is completely nontoxic and harmless when released into the environment. It is a greener fuel compared to natural gas. 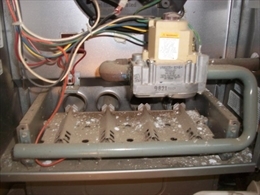 If you want to convert your furnace from propane to natural gas or vice versa, you have to alter some of the components of your machine. You can buy conversion kits which are available in the market for this purpose.